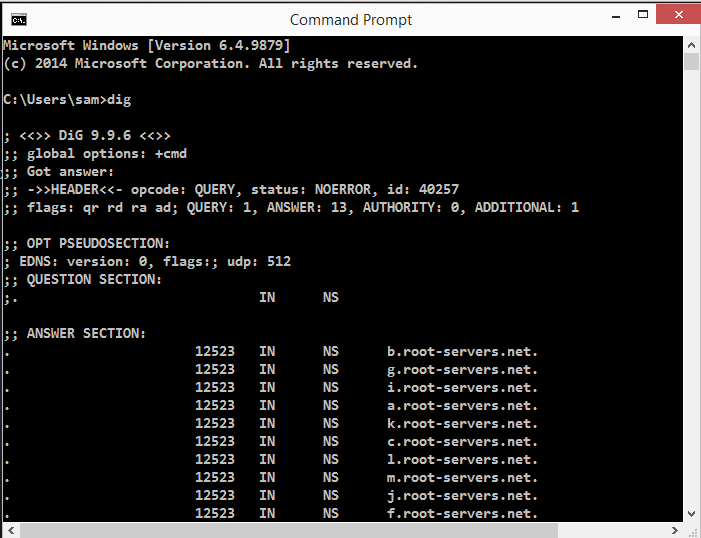 Dig is a command line tool which is used to query DNS information. The dig tool is extremely powerful and can perform direct Nameserver queries, thus bypassing all cached DNS servers DNS entries. You can query a domains nameservers for the domains MX records which the nameserver is publishing at that time dynamically. If you want to install Domain information groper on a Windows machine, this is a workaround as Dig is usually a Linux command line tool. Scroll down and click 9.9.6, as shown below. 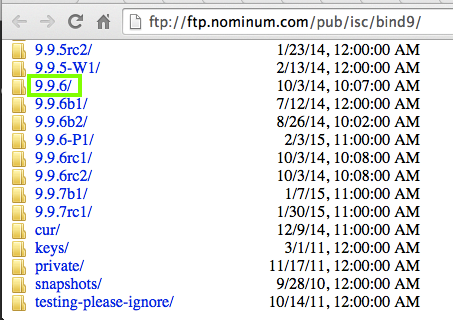 In the next page, click BIND9.9.6.x86.zip, as shown below. The file should download quickly--it's only 6.4 MB. 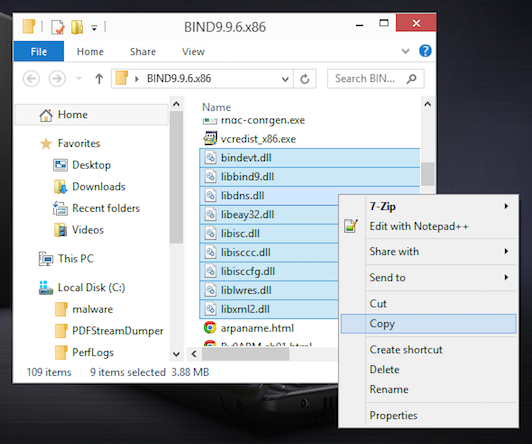 Right-click the downloaded BIND file, click "Extract All...", and click Extract. 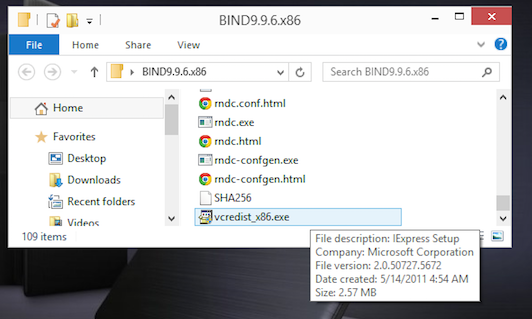 In the "BIND9.9.6.x86" folder, find the vcredist_x86.exe file, as shown below, and double-click it. If a User Account Control box pops up, approve the elevation to administrative privileges. 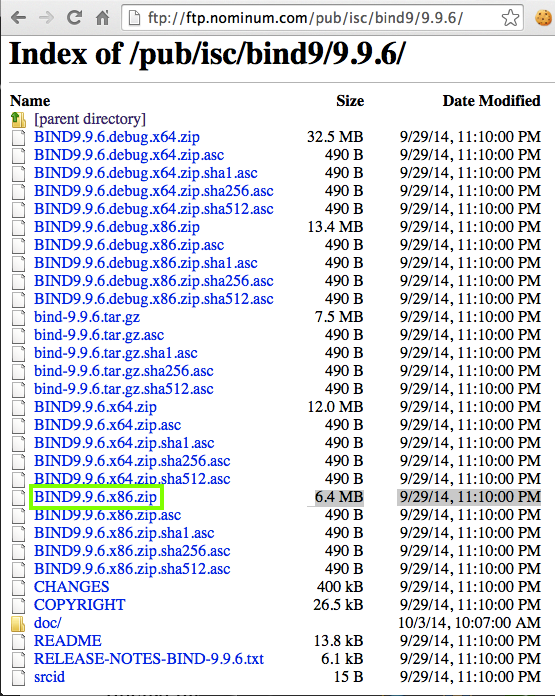 In the "BIND9.9.6.x86" folder, highlight all the DLL files, as shown below. Right-click one of the highlighted files and click Copy. Navigate to C:\Windows\System32\ and paste the files there. You may have to approve another elevation to Administrator permissions. In the "BIND9.9.6.x86" folder, find the dig.exe file, as shown below. Right-click the dig.exe file and click Copy. Navigate to C:\Windows\System32\ and paste the file there. 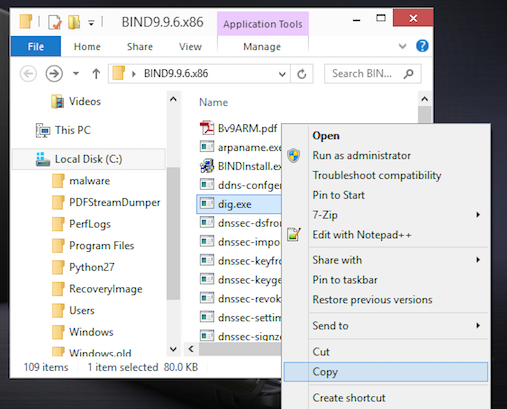 Open a Command Prompt and execute the dig command.